Our California Adventure Itinerary is a touring plan for what attractions, shows, and dining we’d do in one day at the park. This itinerary is our efficient way to experience all of the, what we consider, California Adventure essentials. While other touring plans are more focused on fitting in all of the attractions in one day, we’ll be more focused on how to have our ideal day in California Adventure. Yes, we’ll get to the majority of the attractions but some are left behind in favor of, what we consider, better options. If you are more ride focused than we care to be, check out our rankings of the California Adventure attractions. Along with that, we also have the entertainment, counter-service and table-service restaurants rated. Unlike Disneyland, most of California Adventure can be experienced in a day without significant planning. Your FastPass strategy is still essential to making it on all of the bigger attractions, especially on a busy day, but California Adventure lends itself to ‘winging it’ a little more than other parks. That isn’t to say California Adventure is a bad theme park. I do have qualms with the park’s premise and certain lands but there are some brilliant areas throughout and a great ambiance. We’ll explore that more throughout this itinerary. Both this and Disneyland’s itinerary will change dramatically over the next few years as Disneyland adds Star Wars: Galaxy’s Edge and California Adventure adds Marvel attractions. On top of the Marvel additions, California Adventure seems like a park without much of an identity at the moment. Imagineers worked hard to develop that identity with a major renovation about 5 years ago but that has slowly started to chip away with questionable thematic decisions. I could see the park becoming very different in the next decade but the itinerary should stand for at least a few years, and will be updated when necessary. There are many different factors that go into a theme park day, so we do have to keep this somewhat general. I don’t know how busy the park will be when you visit, whether you purchased MaxPass, where you are staying, etc. What I do assume in this itinerary is that you are spending the full day inside of the park, getting there before the gates open and leaving after the park closes. To do this, I would recommend staying as close as possible whether that be at Disneyland Hotel, Grand Californian or a cheaper hotel across the street on Harbor Blvd. As always, if you have specific questions then please leave us a comment below. My best advice in this general touring plan is to loosely follow the plan while also keeping a sense of exploration. While Disney World has become a place that benefits those who follow a schedule, Disneyland Resort can still play for those who want to be a little more spontaneous. Let’s get to the plan! Get to California Adventure’s gates about 10 or 15 minutes before opening. Half an hour early would be even better if you’re at the resort during a busy season. If staying at an official Disneyland hotel then you will be given an ‘extra magic hour’ on Monday, Wednesday, Friday or Sunday. This entails an extra hour in the park before the gates actually open. Absolutely use this if it’s available to you. If not, try to avoid the park on one of those days although it’s not the end of the world if you can’t. Once inside the park, immediately get FastPasses for Guardians of the Galaxy – Mission: BREAKOUT! (I hope I’m not going to have to type that monstrosity of a name again). The FastPass station is by the attraction. Once you get FastPasses, go straight to Radiator Springs Racers for your first ride of the day. Hopefully the line will still be manageable. If not, the single rider line is a good option. The attraction is the best in the park and maybe the best in the whole resort. Once off the attraction, I’d imagine that your FastPass window is already open. Instead of going straight back Mission: BREAKOUT! go get a FastPass for Radiator Springs Racers before they run out for the day. Ideally, this is a late afternoon or early evening time window but if it’s earlier then no big deal. Next, it’s time for Mission: BREAKOUT! That was already a bunch of rushing around and going back and forth. It’s not the most efficient in terms of the routes covered but it will get the two most popular attractions out-of-the-way quickly and you’ll already have a repeat ride on the park’s best attraction lined up. If your window to Mission: BREAKOUT! wasn’t quite open yet then jump ahead to step 2 and come back to what I listed above. I’m not much of a breakfast person, especially in the parks. Offerings are usually generic and you’re better off grabbing something before getting to the park. California Adventure still fits that bill somewhat but we are fans of Flo’s breakfast. In fact, that is our favorite meal there as the lunch/dinner menus are underwhelming. So, if you are going to eat a full-on breakfast then that’s where we recommend, as the restaurant is especially peaceful in the morning. 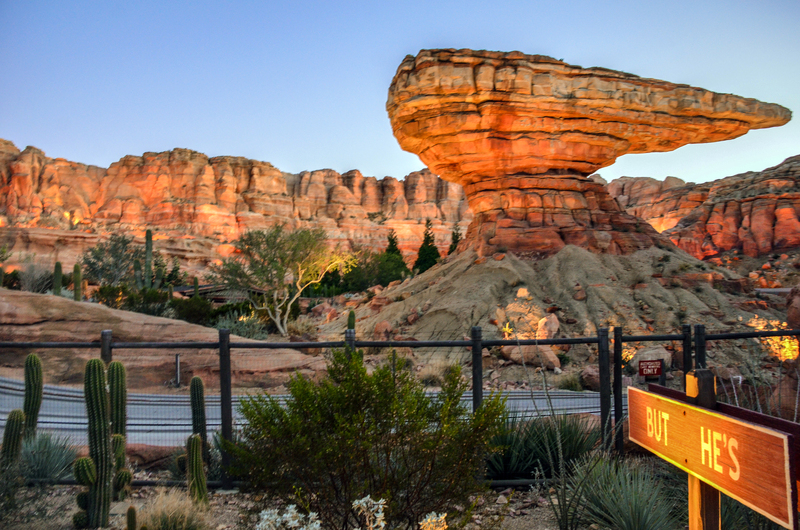 If it’s not too hot out, get a table outside that overlooks Radiator Springs Racers. Snacking isn’t a bad option either, as our guilty pleasure snacks are just a few steps away from Flo’s at the Cozy Cones. They have a Garlic Bagel Twist that Melissa would run through a brick wall for. The bread cones are also good and a decent value but may be a bit heavy in the morning. If you can handle it, more power to you. Still, if you are looking to save money and/or don’t really care about breakfast then skip this step and have something at the hotel or on the way to the park. Honestly, that’s what we usually do to save some money. 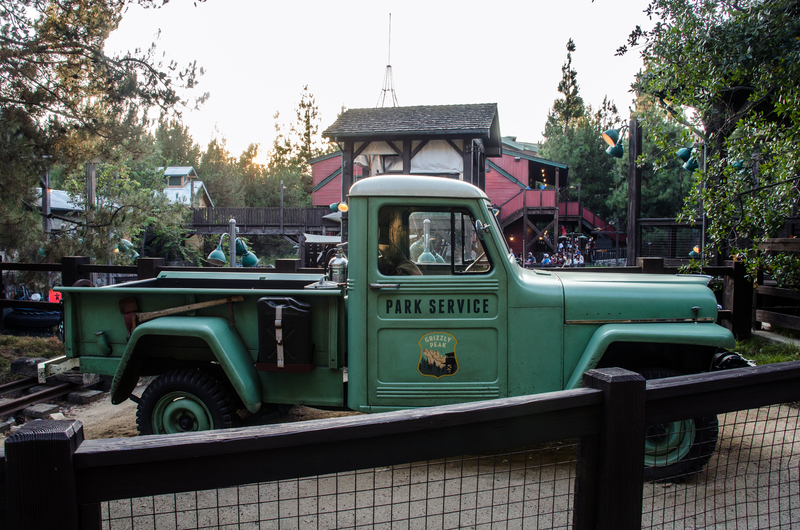 After a whirlwind early morning, it’s time for the most peaceful land in the park – Grizzly Peak. There are three attractions here and we recommend them all. 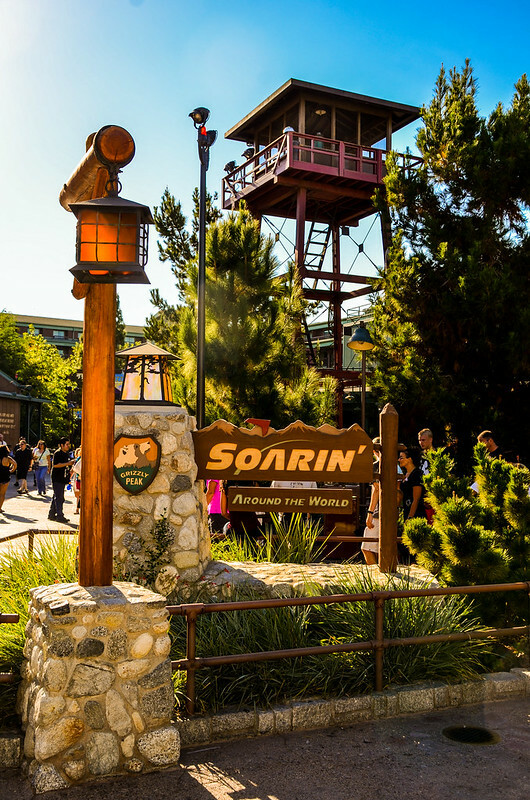 Soarin’ and Grizzly River Run are the two big attractions in this land and both have FastPass. If it’s hot, FastPass Grizzly River Run. If not, go for Soarin’. Walk on to the other attraction, assuming the wait is around half an hour or less. While waiting for your FastPass, there are areas to explore. The other attraction in this land is the Redwood Creek Challenge Trail. This is a perfect area for families with kids, as the kids can run free in this playground area and adults can either enjoy a rest in the peaceful area or explore with the kids. The playground is nature based and fits in well with the land. I don’t have a kid nor am I one (at least age wise) but we routinely stop by here and walk around. I find the trees and nature soothing. Another beautiful place to explore is a back path that cuts through Grizzly River Run. This area is perfect for photos and cooling off. Unless it’s a long wait for your FastPass window to come around, exploring this area and enjoying the national park aesthetic is well worth your time. From Grizzly Peak, take the path through Grizzly River Run and head over to Pixar Pier. From here out, the FastPass strategy will become an integral part of what attractions you do. 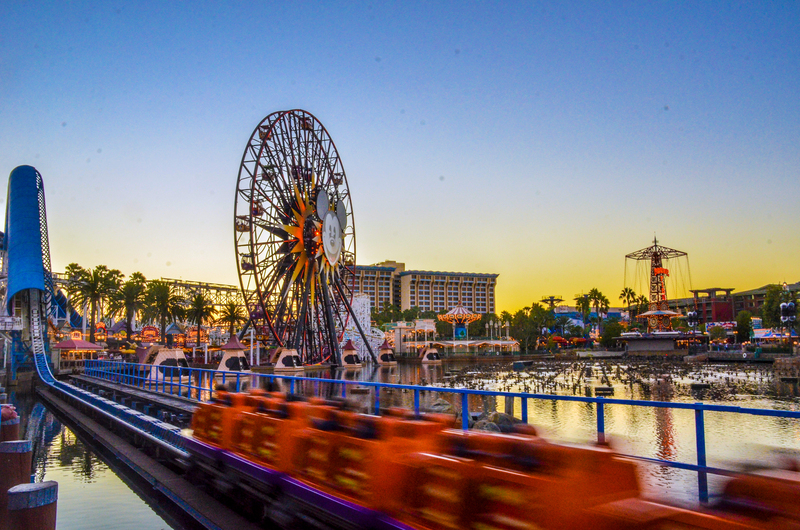 If the itinerary has been followed then Incredicoaster and Toy Story Mania are the only major attractions left and either of those are FastPassable (that’s only a word in the Disney dictionary). I’d recommend FastPassing Incredicoaster out of those two because the queue is hot and mostly boring. You should also grab a FastPass for World of Color in this area. This won’t take away from your other FastPasses but will reserve you a seat for that night’s show. We prefer the second showing, if there are two. If you’re reading this ahead of time, it’s worth considering grabbing the World of Color FastPass earlier in the day especially during the busy season. We haven’t had much trouble getting a FastPass in the late morning or early afternoon but it is a little more risky. Any attraction that has a wait time under 20 or 30 minutes is worth doing at this point. The spinning rides on the pier are fun if the line isn’t long, although they’re more fun at night. Jessie’s Critter Carousel is a good attraction to hit while you’re by Toy Story Mania, assuming the line isn’t too long. This is also a perfect time to go on Little Mermaid – Ariel’s Undersea Adventure and Goofy’s Sky School (which I don’t actually recommend because it scares me to death), as well. 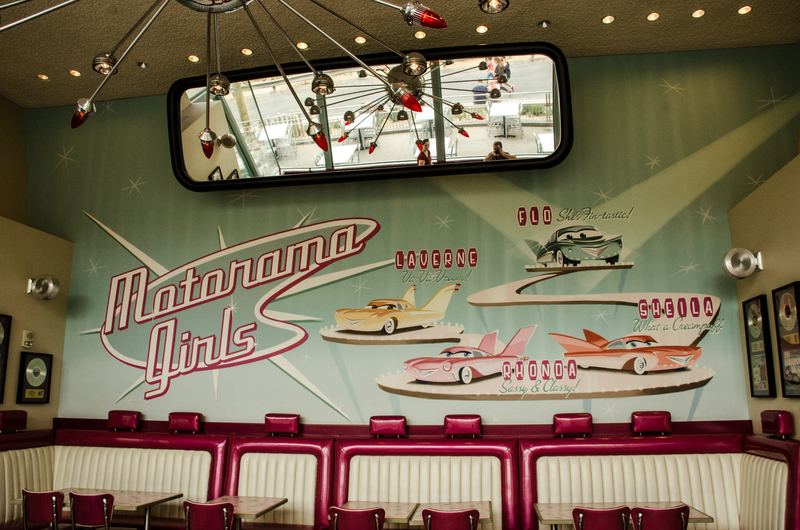 Along with going on whatever attractions fit your fancy, this area is where we recommend lunch. Sharing the Lobster Nachos at Lamplight Lounge is our top recommendation, as the view along with the food can’t be matched elsewhere in the park. If that doesn’t sound up your alley then Corn Dog Castle, Paradise Garden Grill and Pacific Wharf Cafe are all quality options. We’re partial to the shared Lobster Nachos for a light lunch and back to the Cozy Cones for a snack idea but I digress. Like actual Hollywood, California Adventure’s Hollywood Land is full of great shows, amazing theaters, cool attractions, and things that make you wish you had done something else with your time. We’ll try to skip the latter here. The main interest in Hollywood Land is Frozen – Live at the Hyperion. 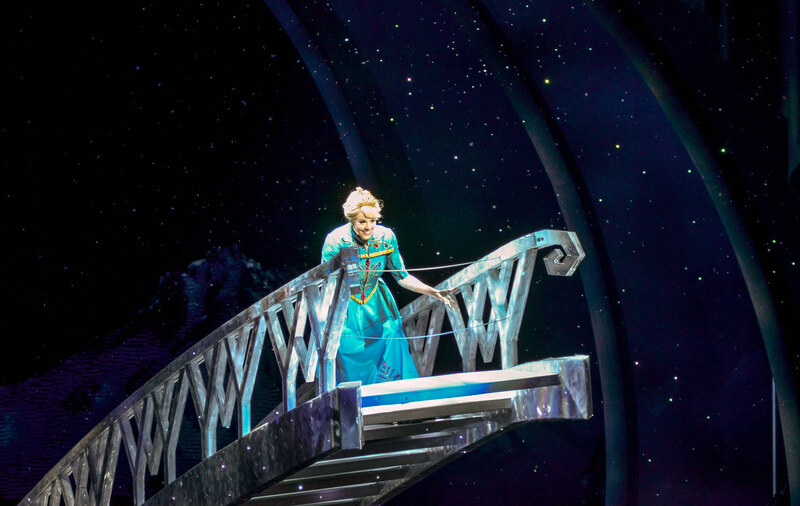 This is a Broadway level show that is an absolute not-miss. Going by this itinerary, you should be able to get to the 3 PM showtime of this show. That’s what you should shoot for and I’d cut part of the Paradise Pier time out if it doesn’t look like you won’t make that. While there is a 5 PM showtime, going for 3 PM gets you out of the sun at the hottest part of the day and will give you more time outside in the evening when the beautiful lighting and ambiance starts to take effect. Along with Frozen there are a few other attractions that might be of interest. Animation Academy has a very fun drawing class if you’re so inclined. Even if you’re not, the inside of the building is cool both in temperature and aesthetic. It’s a nice place to sit down for a few minutes if you need a break. Mickey’s Philharmagic is the newest attraction in the park and is another way to get out of the heat and enjoy a decent show. Philharmagic is a 3D movie that lasts about 10 minutes and showcases many classic Disney characters. Monsters Inc. Mike & Sulley to the Rescue is a pretty lame attraction but it is in that land and doesn’t usually have a wait time. If the wait is under 15 minutes then go for it. After you’re burnt out in Hollywood then it’s time to go back to eating! That’s not a plot for a sad remake of a 90’s sitcom, it is actually the next step in the itinerary. Going back to the Cozy Cone’s is a good choice. There are a number of interesting snacks in Pixar Pier as well as Ghiradelli at Pacific Wharf. Grab a drink along with it and then enjoy some of the more modest attractions in Pixar Pier and Cars Land. 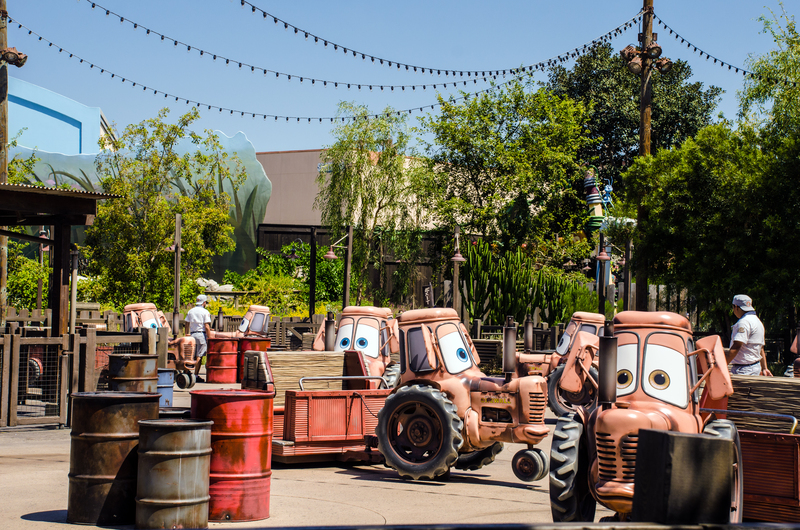 Golden Zephyr and Mater’s Junkyard Jamboree are both way more fun than they ought to be. Silly Symphony Swings and Luigi’s Rollickin’ Roadsters are fine too and shouldn’t have much of a line. I wouldn’t be too concerned about missing either of the latter two but Mater’s is a blast. Keep working through your FastPasses if you haven’t made it through Incredicoaster and Toy Story Mania yet. Depending on the time of year and when the sun sets, these next three steps can all be rearranged. Most of this is based on when sunset is because that’s when we recommend being in Cars Land. While we’ve recommended plenty of stops in the land for attractions and food, there hasn’t been much exploring this brilliant area. 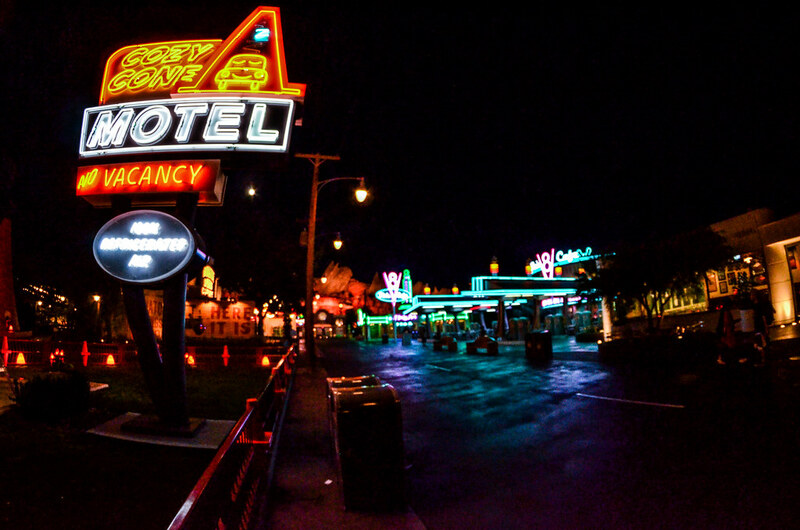 The reason why is because we were saving it for when the lights turn on (ask a cast member for an exact time) in Cars Land and the whole area is lit up by neon and the blue hour. There are very few theme park lands that surpass this in the evening. Enjoy the small lighting show (it’s very subtle) and then explore the land’s details. Ideally, this would be the time you’d want your FastPass for Radiator Springs Racers to come in. If that’s already passed then consider doing the attraction via the single rider line. In fact, we recommend doing this throughout the day if you are in the area as it generally takes less than 20 minutes in the line and the attraction is that good. Riding RSR just after sunset is a great experience. Again, this should be before sunset in the summer months. 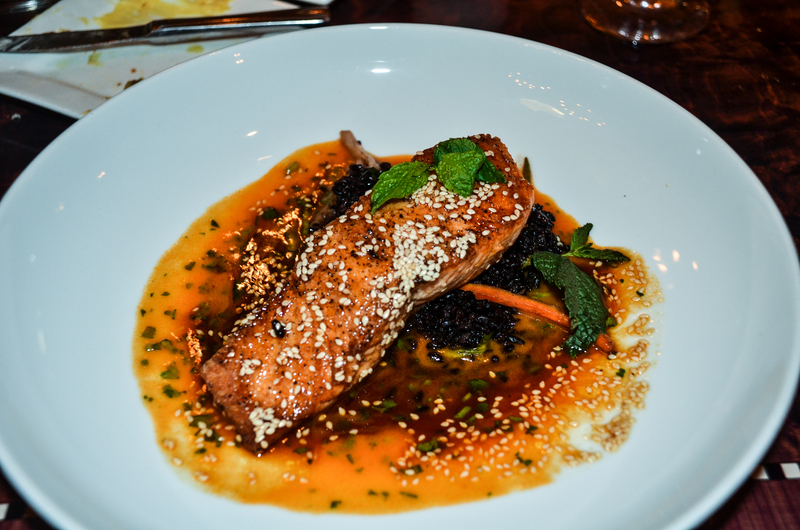 For dinner we recommend the wonderful Carthay Circle Restaurant. Inside of the park icon, dinner here is elegant and delicious. They even have a worthwhile lounge if you can’t get into the restaurant. I do think Carthay Circle is underrated when it comes to Disneyland Resort restaurants. Others get more hype but this equals almost anywhere in terms of the quality of food and atmosphere. Don’t overlook the appetizers as they might be the highlight of the menu. If you really want to go all out, exit the park near Grizzly River Run into the Grand Californian Hotel and enjoy Napa Rose. Although it is expensive, Napa Rose serves the best food I’ve eaten at a Disney Resort. For those that want to stay on a smaller budget then we recommend the food around Pixar Pier again, notably Paradise Garden Grill. Once nightfall hits, it’s time to head back to Pixar Pier and enjoy the atmosphere. The pier feels more authentic at this time of day with the popcorn lights and kinetic energy of the spinning attractions. If you have time on the way make another trek through Grizzly Peak. Once in Pixar Pier use the time to walk around and enjoy the ambiance. Get on one of the spinner rides if the line is short, as the view will be phenomenal. We don’t know how long Paint the Night will be running at California Adventure but as long as it is then it is worth your time to watch. Somehow this is the only Disney Nighttime Parade stateside at the moment and it’s a solid option although not spectacular. The schedule is hit and miss so there’s a chance that the parade won’t be running while you’re there. If it is, find a spot to sit or stand near the front of Pixar Pier about 20 or 30 minutes before the parade begins. 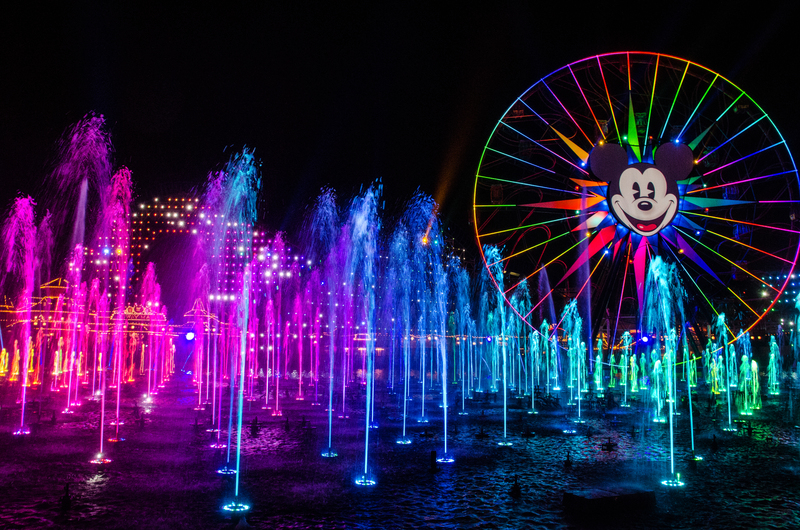 World of Color is another obvious must-do as there isn’t a nighttime spectacular quite like it. The show uses fountains and projections to go through some of Disney’s best cinematic moments. The time of year will determine what version of the show you watch but they’re all worth seeing. After World of Color ends, let the crowds pass and linger by the water for a while. The post show has some nice music and the fountains are still running for a while. This is an opportune time for pictures. Also, we don’t like to be herded like cattle. Once the crowds die down, it’s time to start making your way to the exit. Our favorite route to take is through Pacific Wharf back through the side entrance to Cars Land. There’s a chance this way may be blocked off but it’s worth a shot as it’s beautifully serene. After watching a show with thousands of people, walking quietly through the beautiful rock-work of Cars Land is a nice counter-balance. Eventually, you’ll have to exit and the day will be complete. Like our Disneyland Itinerary, we can’t recommend Trader Sam’s enough so if you didn’t go already and still have some energy left then go. 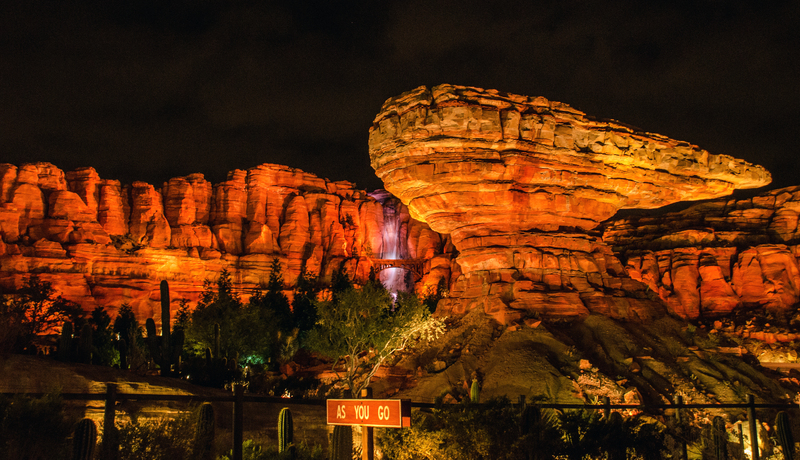 It’s a perfect nightcap to our ideal day in California Adventure. If you get most of the things on this list done then I think the day will be wonderful. A quick word of advice for California Adventure that I hope came through in this itinerary: Take time to linger in Cars Land and Grizzly Peak. Both are incredible lands but very different from each other. Spending time walking there, or Pixar Pier at night, is far superior to walking around Hollywood Land and could make the difference in a day being good or great. As always, if you have questions or thoughts on our California Adventure itinerary then leave a comment below. If you are planning a trip to Disneyland, then check out our planning guide. If you enjoy what you are reading here on Wandering in Disney please share this post with your friends, as well as like our social media pages. You can also subscribe to the blog via WordPress or email. You can do all of that on the right side of this page. Thank you for reading, we really appreciate it! Hey, I’m going to DCA and Disneyland for the first time (first time at any Disney park actually) and was just wondering if having a Bugs Land closed changes anything for your recommended morning strategy. Also if you have any other recommendations for either park that aren’t on your itinerarys those would be greatly appreciated. Hi Jaiden, thanks for the comment. I wouldn’t change anything about the morning strategy, you may just have to take a little bit longer of path between attractions. As for anything extra, I wouldn’t change much. My absolute favorite things to do at Disneyland Resort include Fantasmic!, New Orleans Square at night, Cars Land around sunset and Fantasyland in the morning. Give yourself plenty of time for those aspects is really my recommendation, although your preferences may be different than mine depending on who you are going with and your tastes. Any specific questions about your visit?